A recent article1 focused attention on the proliferation of unregulated clinics in the U.S. that promise stem cell cures. The term “stem cell” used to have meaning only to scientists. It referred to cells that can both make new copies of themselves and turn into different types of mature cells. Stem cell is a fitting term for the cells in bone marrow that are transplanted to people in an attempt to save them from leukemia. Bone marrow transplants require killing a patient’s own cancerous bone marrow and replacing it with cells that produce all the types of blood cells found in the body. A bone marrow transplant to replace the blood system is the only stem cell therapy that is FDA approved as being safe and effective. But investments like California’s $3 billion for stem cell research in 2004 and similar efforts worldwide have added stem cell to the vocabulary of a growing number of people. Positive press from funding agencies has raised not only the public’s expectations for miraculous stem cell cures, but also a geographic and institutional bidding war for scientists pursuing cures for the most intractable diseases. Like snake oil salesmen, clinics claiming astonishing curative results from stem cell treatments often do not have licensed physicians administrating the treatments, no scientific evidence supporting their work, and they rely on testimonials for advertising and promoting the value of their product. The first stem cell clinics started in countries where the regulatory climate was less rigorous than that of the U.S. These clinics emerged in China, Mexico, the Bahamas, and even in European countries where loopholes in regulations allowed the clinics to operate. In 2011, a large clinic in Germany was closed after the death of an 18-month-old boy who received an injection of cells into his brain.2 The clinic’s director was not prosecuted and soon established another stem cell clinic in Beirut, Lebanon, where new loopholes in regulation could be exploited. Like a money-making franchise, stem cell clinics have begun to spread to the U.S. Anyone who visits or lives in Florida or California will have noticed billboards and full-page advertisements for U.S. clinics offering stem cell therapies that have not been confirmed to be safe and effective. The websites are typically strong on mission statements but short on specifics. They claim that their treatments are noninvasive and preferable to surgery. They emphasize the miracle of the customer’s own cells being used to treat their condition. What’s wrong with using someone’s own cells? What is wrong is that the cells used by these clinics are not useful for therapy. The cells are either an extract of fat tissue that is removed from the patient by liposuction or cells from bone marrow. These cells are simply incapable of turning into any of the cell types that are damaged by Alzheimer’s disease, Parkinson’s disease, diabetes, multiple sclerosis, COPD, ALS, cerebral palsy, autism, spinal cord injury, or traumatic brain injury. In fact, cells taken from one source like fat, and put somewhere else, like the bloodstream, do not even survive beyond a few hours. They have no demonstrated medical benefit. The clinics offer no functional rationale for their treatments. Instead, they seek legitimacy by association. One strategy is to link their websites to scientific publications that relate to the given condition and stem cells. To give an example, there are reports that show that stem cell transplants can restore short-term memory to mice that have some characteristics of Alzheimer’s disease. As a preclinical investigation the work has real value. But this does not mean that such a therapy is likely to work in humans, and a great deal more research is required before any legitimate medical practitioner would consider trying it on people. Although stem cells show great promise in regenerative medicine, they are not the stuff of miracle cures or all-purpose elixirs, whatever latter-day snake oil salesmen or their enthusiastic shills might claim. Since there is no scientific basis for their treatments, the clinics use patient testimonials and patient ratings to give the illusion that there is a medical benefit to their activities. The testimonials say that the patients are satisfied, they trust the organization, and they would recommend the treatment to others. But this is not science, and these are not verifiable clinical milestones and outcomes. This is advertising. It is important to understand the role of the FDA in regulating stem cell therapies at these clinics. 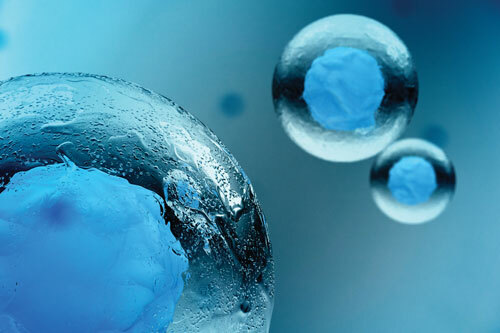 The FDA has made it clear that two characteristics of a stem cell treatment make it subject to FDA regulations. First, any manipulation of a harvested tissue (separation of cells from fat or culturing or concentrating bone marrow cells) gives the treatment status as a drug. Second, taking cells from one location (such as fat) and putting them into another location, such as the bloodstream, also means that the cells must be regulated as a drug. The FDA has been slow to enforce their oversight of these clinics by any meaningful action, and this regrettably has, if not condoned, permitted the proliferation of sites offering perceived unregulated stem cell treatments. But happily this is changing. At the World Stem Cell Summit in 2015, Robert Califf, M.D., the FDA Commissioner, told the gathering of scientists, clinicians, and patient advocate attendees that the FDA is willing to consider complaints about any specific clinic. There is another opportunity to let the FDA know our opinions. In September, the FDA will hold a public hearing on their proposed changes to regulations of stem cell therapies.3 This meeting, called “Part 15 Hearing on Draft Guidances Relating to the Regulation of HCT/Ps [Human Cells, Tissues, and Cellular and Tissue-Based Products],” will be held at the NIH headquarters in Bethesda, MD. There are 54 clinics or organizations scheduled to speak at this meeting and forty individuals. What else can be done? Since the public is the victim of these clinics, anyone invested in the development and implementation of legitimate therapies must get involved to curtail these opportunists whose money-making ventures not only may be harmful but jeopardize by association the real potential of stem cell research in regenerative medicine. Previous attempts to expose such clinics have been if not silenced at least muffled by the threat of legal action. We in turn need to turn to the law to safeguard the future of regenerative medicine. Clinics often make patients sign agreements not to disparage them as a condition of providing the treatment. This makes it difficult for individuals to sue the clinics for failing to provide a therapy that has the positive effects advertised, though there has already been a precedent. A product liability lawsuit has been filed against one such U.S. clinic.4 The high costs of these treatments, from $10,000 to $100,000, should motivate individuals seeking these therapies to ask for some guarantee or at least the right to seek recourse in the event of harm or non-provision of goods as promised. The public has a major role to play in the protection of regenerative medicine. After all, who has a greater stake in the responsible advancement of the field? Graham Parker, Ph.D., is a professor in the department of pediatrics at the Wayne State University School of Medicine in Detroit and editor-in-chief of Stem Cells and Development, a peer-review journal published by Mary Ann Liebert, publishers. Jeanne F. Loring, Ph.D., is professor of developmental neurobiology and director of the Center for Regenerative Medicine, department of chemical physiology, on the California campus of the Scripps Research Institute. Dr. Loring is also on the editorial board of BioResearch Open Access, published by Mary Ann Liebert, publishers.